Hunter Cole is both an internationally shown artist and an experienced geneticist. 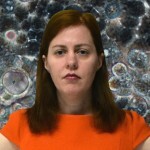 She reinterprets science as art through the creation of living artworks, abstractions, digital art and installations confronting issues related to biotechnology in our culture. 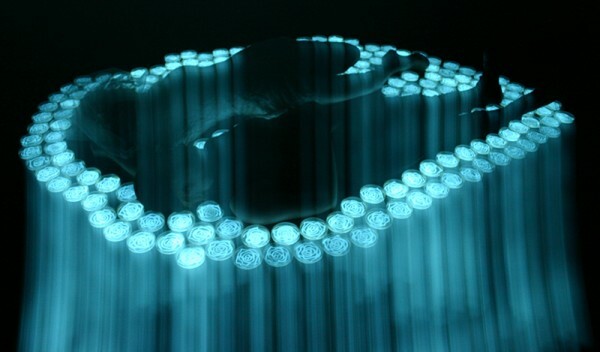 She creates Living Drawings with bioluminescent bacteria. These Living Drawings depict the cycle of life and death calling attention to our own mortality. 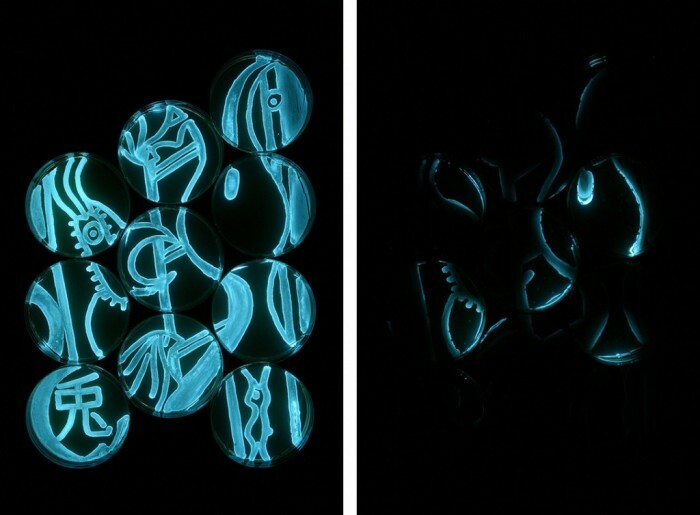 Hunter Cole creates controlled line drawings using bioluminescent bacteria. The bacteria then grow on Petri dishes. Bacteria become collaborators in the art as it grows and dies. 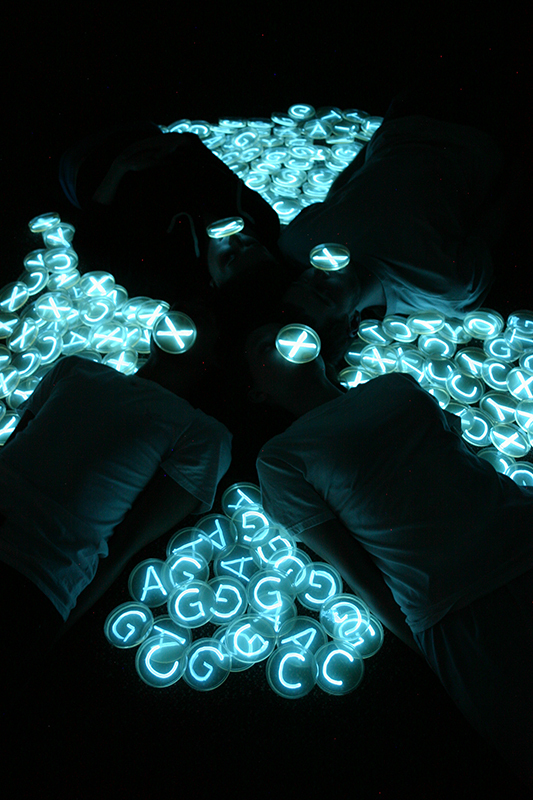 First appearing with bright light, bacteria in the drawing are photographed as it uses up available nutrients, gradually dying-off over a two-week period. She created a movie of bacterial drawings growing and dying with music based on protein sequence in the bacteria. Hunter Cole is also creating a new series called Living Light where people and objects are photographed by the light of bioluminescent bacteria. Her most recent series is called Bioluminescent Weddings where people are posed for wedding photographs by the light of bioluminescent bacteria. One of the functions of bioluminescence in nature is to attract a mate. Her latest work, Life with Endometriosis, is an art installation about the difficulties women have living with endometriosis. Endometriosis is a disease where endometrial tissue grows outside the uterus in other parts of the body. One in ten women have endometriosis. Endometriosis can cause extreme pain and infertility. Hunter Cole - Her Own DNA - Living Drawings Created with Bioluminescent Bacteria with Protein Music from Hunter Cole on Vimeo. Both an internationally shown artist and also experienced geneticist, Hunter Cole reinterprets science as art through abstractions, digital art, installations, and living art. She holds a Ph.D. and Master's degree in Genetics from the University of Wisconsin-Madison, and a Bachelor of Science from the University of California-Berkeley. She teaches biology and art at Loyola University Chicago. She created a course, Biology through Art, where students have the opportunity to create innovative artworks in a biology laboratory. In the Living Drawings Exhibition Hunter Cole creates controlled line drawings using bioluminescent bacteria. The bacteria then grow in the host environment. Bacteria become collaborators in the art as it grows and dies. 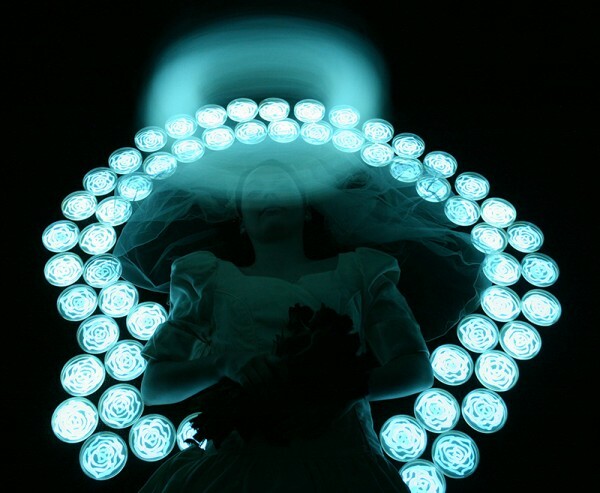 In her Living Light and Bioluminescent Weddings series she takes photographs of people and objects by the light of bioluminescent bacteria. Her latest work, Life with Endometriosis, is an art installation about the difficulties women have living with endometriosis. Endometriosis is a disease where endometrial tissue grows outside the uterus in other parts of the body. One in ten women have endometriosis. Endometriosis can cause extreme pain and infertility. Hunter Cole had a residency working on her Life with Endometriosis art installation at SymbioticA at the University of Western Australia in Perth, Australia. 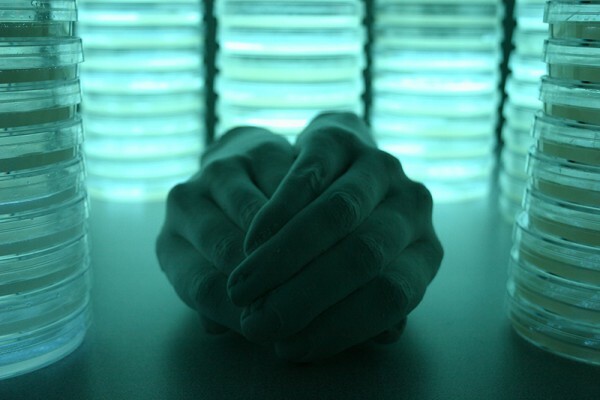 SymbioticA is the first research laboratory of its kind, enabling artists and researchers to engage in wet biology practices in a biological science department. Some of the places Hunter Cole’s art has been shown include New York, San Francisco, England, Italy, Japan and the Czech Republic. Hunter Cole co-authored a paper on “Art and Genetics” with Joe Davis, Dana Boyd and Marek Wieczorek published in the Encyclopedia of Life Sciences (ELS). Cole has been the subject of numerous newspaper and magazine articles. Publications that have discussed Cole's work in art and science, among others, include Science, The Scientist, the Chicago Tribune, Detroit Free Press, Muy Interesante in Spain, Le Monde in France and Beaux Arts magazine in France. Additionally, Hunter Cole has presented seminars on art and science throughout the United States and internationally such as at the School of the Art Institute of Chicago, the American Museum of Natural History in New York, New York, the Massachusetts Institute of Technology (MIT), Dialogue Between Science and Art Workshop in Hluboka, Czech Republic, and SymbioticA at the University of Western Australia in Perth, Australia.